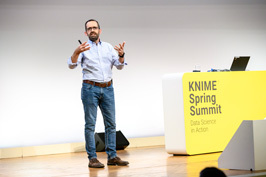 From March 18-22 we held our 12th annual KNIME Spring Summit in Berlin, Germany. KNIME users and enthusiasts got together for a week of courses, presentations, workshops, an evening at the movies, and the chance to network. This year we welcomed over 400 people through the doors. Alongside the regular Summit attendees, it was great to see so many new faces. Thank you to everyone who joined us! Michael Berthold opened the Summit by reflecting on another year of significant growth for KNIME. He then discussed new and growing trends in data science, as well as in machine learning (and of course the elephant in the room - artificial intelligence) and put them into context with our Guided Analytics vision. Check out his and other presentations here. Wednesday and Thursday were full of engaging presentations from data scientists, business analysts, and independent users across industries such as marketing, life science, production and manufacturing, customer intelligence, and banking. 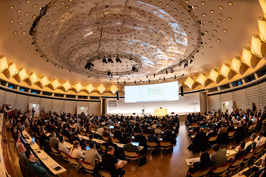 Their presentations highlighted the diverse application areas of KNIME Software from predictive modeling, image processing, and data visualization, through to spectral data analysis, IIoT, machine learning, guided automation, and more. We also looked into what’s new and what’s cooking at KNIME. Thank you once again to our speakers for all these great presentations! You can check out their slides here. On the Monday and Tuesday before the summit began, we ran KNIME Courses covering topics ranging from beginner and advanced users in KNIME, through to specialty topics such as text mining, big data, and IoT analytics. We also ran our first half-day KNIME Refresher Course on Tuesday, as well as a meeting for our KNIME Community Developers. There were also other events such as the poster session on Thursday (featuring 22 posters from the KNIME Community), our partner exhibition, workshops on Friday morning, and the debut of our KNIME Certification Program. 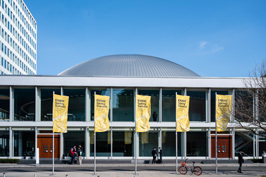 It was great hosting everyone in Berlin and we are already looking forward to KNIME Fall Summit in Austin, Texas from November 5-8, 2019. An early bird discount is available for those who want to secure their spot early.